One of my favourite things about Autumn is all of the beautiful seasonal colours and shades that start appearing, particularly in beauty products and new releases. 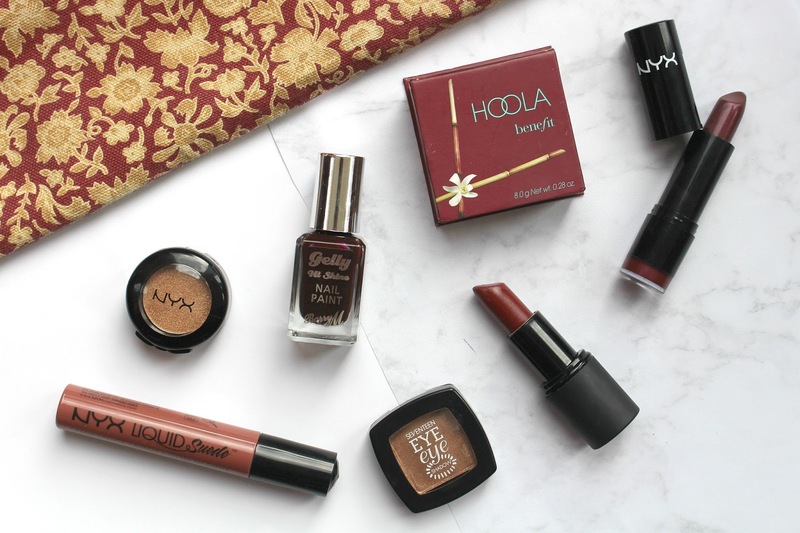 I thought I’d share a few gorgeous shades and products I’ve been using recently. I find myself really starting to enjoy different products and shades at this time of year. When the weather gets cooler I tend to move away from pastel shades and into deeper tones. To start I have then been warming up my collection with a splash of Benefit’s Hoola. I bought this product when I was over in New York after a lot of recommendations and it adds a really natural bronze look. I tend to find myself wearing more shimmery, gold eye shadows at this time of year too, these shades are from NYX and Seventeen. They are so pretty and when layered together they create such a beautiful tone and compliment each other beautifully. 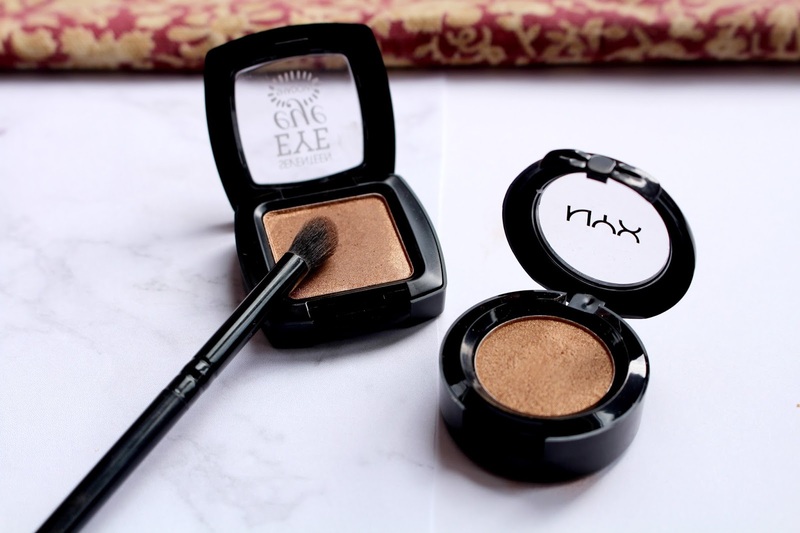 The NYX single eyeshadow in Gold Lust is more of a lose shadow that you would use on top to compact heavier colours whilst adding a bit of sparkle. Whereas the Seventeen single eyeshadow in the shade Walnut Pearl is super pigmented and looks amazing on its own once blended in. However I tend to layer them and the mix of the gold tones and brown shades are stunning. I can't get enough of browns and gold eyeshadows as they are perfect for any season but especially autumn time! Moving on to lips. Again I go for deeper, richer tones. I love the matte effect lipsticks and lipcreams as they are more pigmented and seem to last a lot longer during the day too. 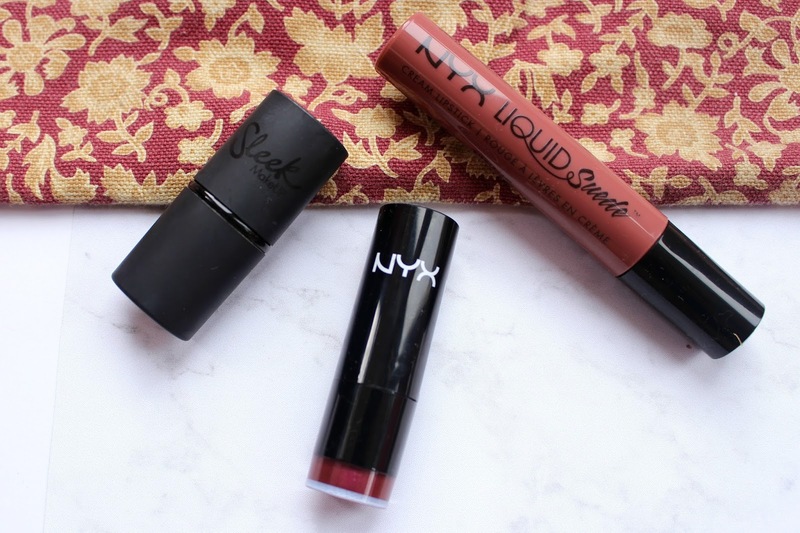 The liquid suede lip cream collection by NYX has to be one of favourite lip collections ever as the colour is long lasting and is perfect for this time of year as it keeps your lips well moisturised. However the standard NYX coloured lipsticks have a more shimmery look which are best suited for autumn christmas time too. 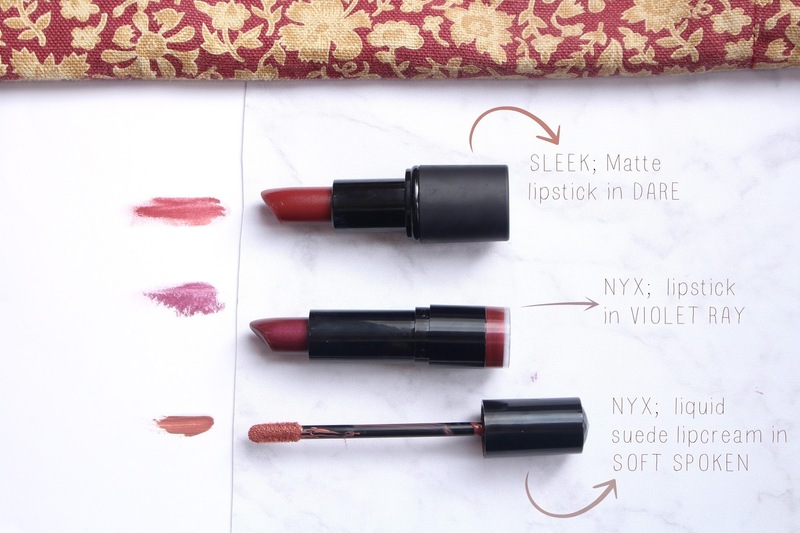 Finally you can never go wrong with a classic matte lipstick in a deep red tone. I particularly love the matte collection from Sleek and the shade Dare. Finally there is only one way to finish off any autumnal look and its by having the classic deep red nail colour. 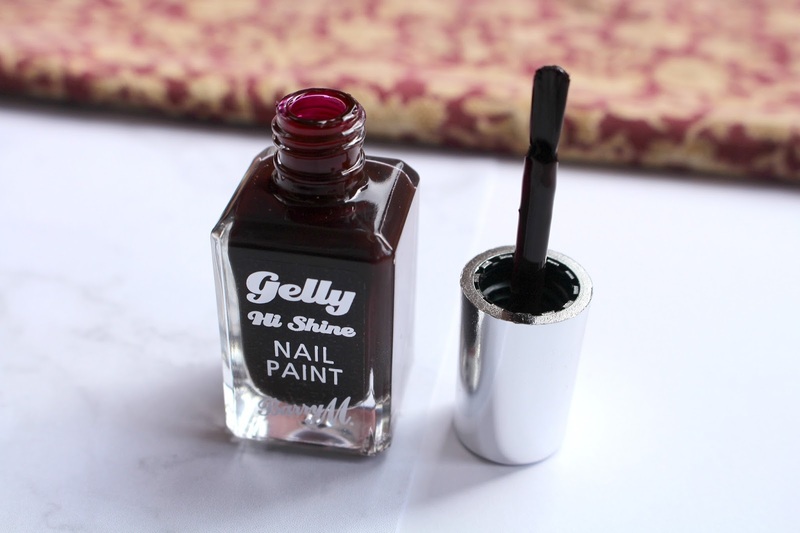 Obviously there is so many dark red nail paint out on the market, but I particularly like the BarryM Gelly Hi Shine Nail Paint because its long lasting nail polish and gives a shiny finish to your nails after two coats of polish.